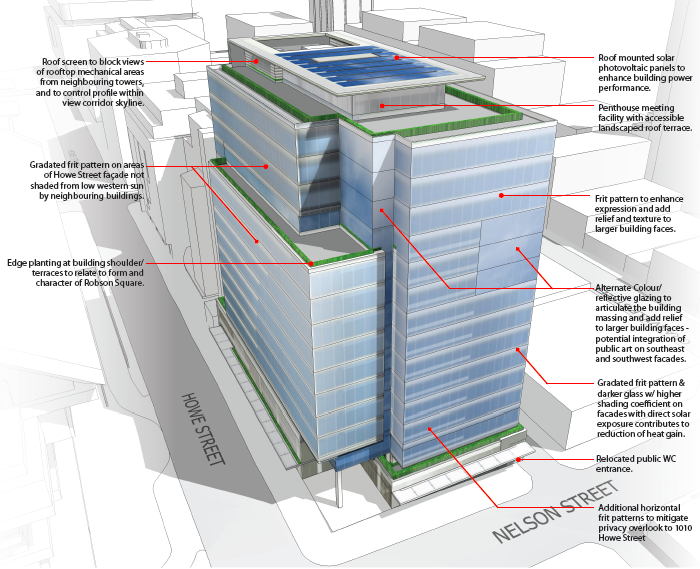 The project consists of a new Manulife Financial office tower with underground parking on the corner of Howe and Nelson street in downtown Vancouver. The building will be 16 stories high with an office floor plate of approximately 17,000 square feet above a ground floor retail and entry podium with five levels of underground parking. 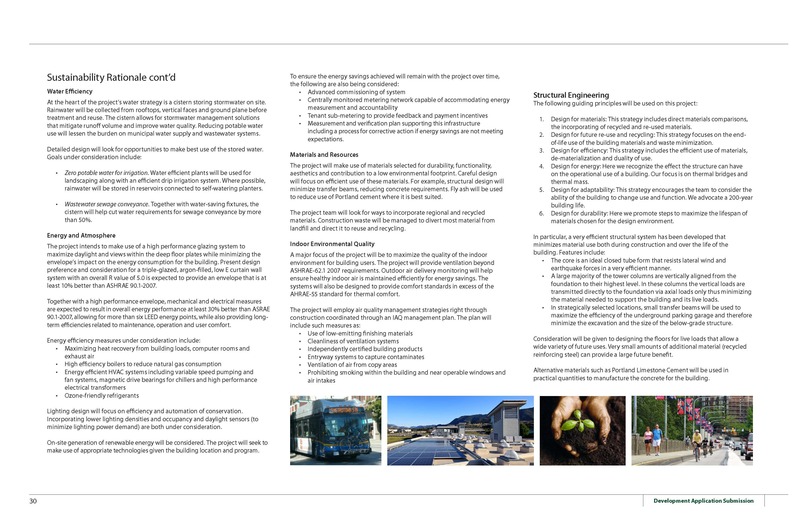 Recollective is the Sustainability Consultant and is coordinating the LEED for Core and Shell (LEED-CS) certification. As per the City of Vancouver’s regional priorities, stormwater management is a major focus of the building design. 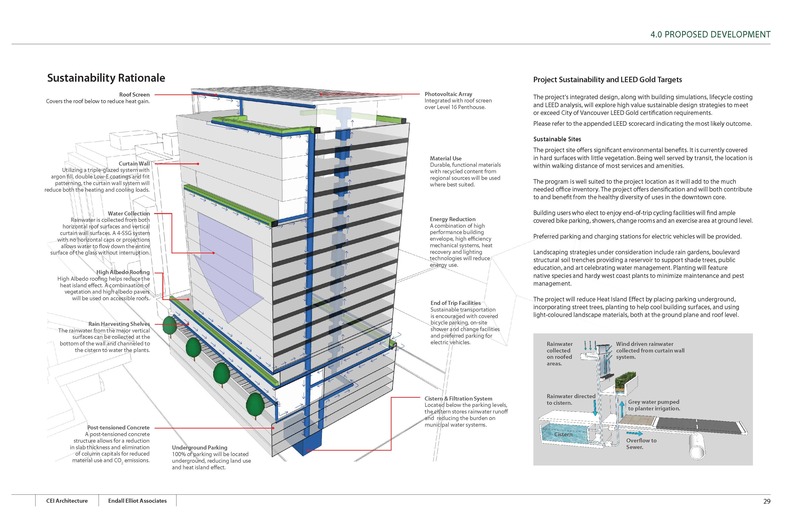 A curtain wall, rainwater harvesting shelves, rain gardens, and a kinetic water feature will process rainwater and direct excess water into a cistern. Greywater will then be filtered and re-used in the toilets, reducing water used in sewage conveyance by 50 percent. Heat island effect will mitigated using high albedo roofing, vegetated terraces and large trees. Materials will be sourced from regional and recycled suppliers. Design features will be coupled with art and education to highlight the importance of sustainability and engage building residents and pedestrians.